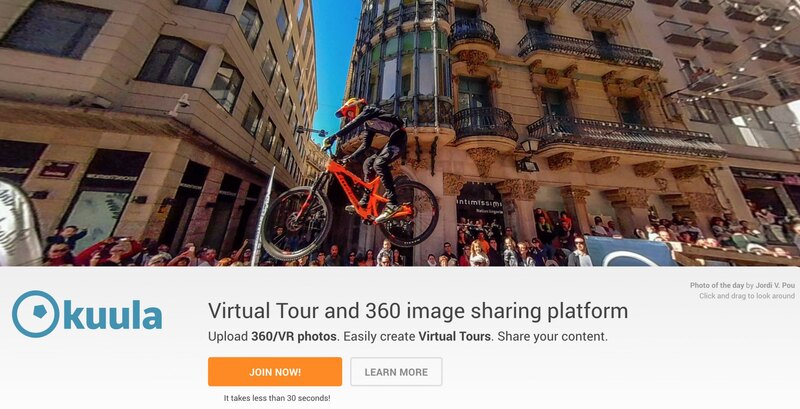 Home › Forums › 360° Virtual Tours › Best Software To Create A 360 Tour ? This topic contains 8 replies, has 8 voices, and was last updated by Sam Rohn 1 month ago. It’s my first time getting to grips with a 360 camera. I have just bought a Samsung Gear 360 2017 camera. I’m looking to take numerous 360 images of the inside of a new building and to create a virtual tour. I have had a look online and come across a web based application called Cupix. Has anyone used it? Is there anything better out there? I don’t mind paying as long as it’s under £100. I use https://GoGira360.com . Super easy, super cheap. I also like that if you’re a real estate agent, it has some light lead capture tools available. You can also check out Kuula. Kuula is an easy-to-use and budget friendly solution for creating 360° virtual tours, sharing them on the web and in Virtual Reality. Watch this short (90 sec.) video to see how easy it is to create a virtual tour with Kuula. If you have any questions, please send us an email at: contact@kuula.co, check out our tutorials, or follow us on Facebook, Twitter or Instagram to learn more. We hope you’ll start creating virtual tours on Kuula soon! Hi! I used the platform Lapentor for my diplomatic work, 360 virual interactive tour in museum. By the end, it’s being mistaken in preview mode. The scenes are 33. What tool can I use to make it again, but not a platform, I prefere a free software or an economic one. Hi! You can also add Virtual Tour Easy on your list. They offer a Free Virtual Tour where you can embed and share them on any platforms online with full API access and deep insights through their built-in statistics. I have also tried the Virtual Tour creators the others mentioned and I can say that Virtual Tour Easy is on par with them. Definitely a must-try! You can free download Widsmob Panorama software to stitch 360 panoramic photos effortlessly. Both JPG and RAW images are supported. Thanks for all the links here. I wish there was software that didn’t require a monthly subscription. Also, it’s not apparent if these will mix both video and pictures. Is anybody doing this?